One contact. One Source. One smart decision. EQ ONE — ONE SMART AND EASY SOLUTION. Our National Accounts clients will benefit from our EQ ONE suite of solutions, support, and services. Simply easy. Our one contact, one source, one-stop shop simplifies fleet management and streamlines operations. 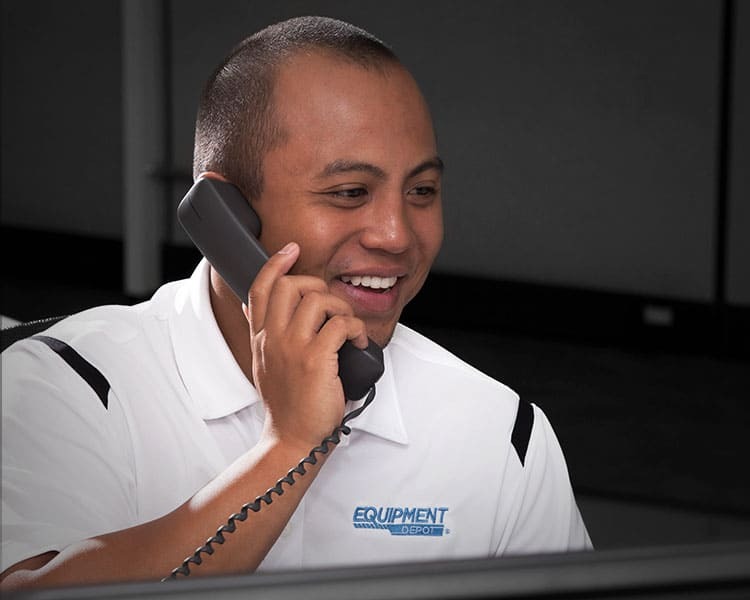 So you’ll get national volume pricing for all your equipment, parts and service needs. From region to region, coast to coast, with EQ ONE, you have one point of contact, one set of prices for service, parts and equipment. Plus, you’ll benefit from having one source for equipment and warehousing solutions. SIZE AND SERVICE. YOU’RE MORE THAN COVERED. As a national account, you’re eligible for volume discounts on our array of quality OEM parts. Contact our aftermarket experts for details. Other companies talk about performance. We guarantee it. Here’s our pledge and promise to be the best service company in the industry. Period. WE’RE FOCUSED ON YOUR MOMENTUM. We understand the importance of keeping your operations moving. It’s why we’re laser-focused on maintaining your momentum. Because we understand the need for uptime, all the time.